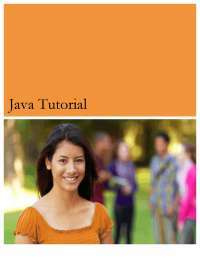 Java Tutorial Java is a high-level programming language originally developed by Sun Microsystems and released in 1995. Java runs on a variety of platforms, such as Windows, Mac OS, and the various versions of UNIX. This tutorial gives a complete understanding ofJava. Audience This reference has been prepared for the beginners to help them understand the basic to advanced concepts related to Java Programming language. Prerequisites Before you start doing practice with various types of examples given in this reference, I'm making an assumption that you are already aware about what is a computer program and what is a computer programming language? Copyright & Disclaimer Notice ©All the content and graphics on this tutorial are the property of tutorialspoint.com. Any content from tutorialspoint.com or this tutorial may not be redistributed or reproduced in any way, shape, or form without the written permission of tutorialspoint.com. Failure to do so is a violation of copyright laws. • Object Oriented: In Java, everything is an Object. Java can be easily extended since it is based on the Object model. • Platform independent: Unlike many other programming languages including C and C++, when Java is compiled, it is not compiled into platform specific machine, rather into platform independent byte code. This byte code is distributed over the web and interpreted by virtual Machine (JVM) on whichever platform it is being run. • Simple:Java is designed to be easy to learn. 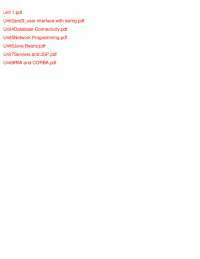 If you understand the basic concept of OOP,Java would be easy to master. • Secure: With Java's secure feature, it enables to develop virus-free, tamper-free systems. Authentication techniques are based on public-key encryption. • Architectural-neutral:Java compiler generates an architecture-neutral object file format, which makes the compiled code to be executable on many processors, with the presence of Java runtime system. • Portable: Being architectural-neutral and having no implementation dependent aspects of the specification makes Java portable. Compiler inJava is written in ANSI C with a clean portability boundary which is a POSIX subset. • Robust:Java makes an effort to eliminate error prone situations by emphasizing mainly on compile time error checking and runtime checking. • Multithreaded: With Java's multithreaded feature, it is possible to write programs that can do many tasks simultaneously. This design feature allows developers to construct smoothly running interactive applications. • Interpreted:Java byte code is translated on the fly to native machine instructions and is not stored anywhere. The development process is more rapid and analytical since the linking is an incremental and lightweight process. • High Performance: With the use of Just-In-Time compilers, Java enables high performance. • Distributed:Java is designed for the distributed environment of the internet. • Dynamic: Java is considered to be more dynamic than C or C++ since it is designed to adapt to an evolving environment. Java programs can carry extensive amount of run-time information that can be used to verify and resolve accesses to objects on run-time. History	of	Java:	James Gosling initiated the Java language project in June 1991 for use in one of his many set-top box projects. The language, initially called Oak after an oak tree that stood outside Gosling's office, also went by the name Green and ended up later being renamed as Java, from a list of random words. Tools	you	will	need:	For performing the examples discussed in this tutorial, you will need a Pentium 200-MHz computer with a minimum of 64 MB of RAM (128 MB of RAM recommended). • Linux 7.1 or Windows 95/98/2000/XP operating system. What	is	Next? Next chapter will guide you to where you can obtain Java and its documentation. 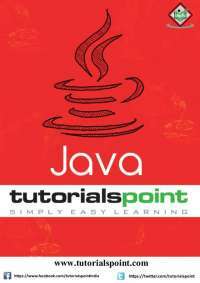 Finally, it instructs you on how to install Java and prepare an environment to develop Java applications. Before we proceed further, it is important that we set up the Java environment correctly. This section guides you on how to download and set up Java on your machine. Please follow the following steps to set up the environment. • Right-click on 'My Computer' and select 'Properties'. • Click on the 'Environment variables' button under the 'Advanced' tab. • Now, alter the 'Path' variable so that it also contains the path to the Java executable. Example, if the path is currently set to 'C:\WINDOWS\SYSTEM32', then change your path to read 'C:\WINDOWS\SYSTEM32;c:\Program Files\java\jdk\bin'. Setting	up	the	path	for	Linux,	UNIX,	Solaris,	FreeBSD:	Environment variable PATH should be set to point to where the Java binaries have been installed. Refer to your shell documentation if you have trouble doing this. • Notepad: On Windows machine, you can use any simple text editor like Notepad (Recommended for this tutorial), TextPad. • Netbeans:Is a Java IDE that is open-source and free which can be downloaded fromhttp://www.netbeans.org/index.html. • Eclipse: Is also a Java IDE developed by the eclipse open-source community and can be downloaded from http://www.eclipse.org/. What	is	Next? Next chapter will teach you how to write and run your first Java program and some of the important basic syntaxes in Java needed for developing applications. • Object - Objects have states and behaviors. Example: A dog has states-color, name, breed as well as behaviors -wagging, barking, eating. An object is an instance of a class. • Class - A class can be defined as a template/blue print that describes the behaviors/states that object of its type support. • Methods - A method is basically a behavior. A class can contain many methods. It is in methods where the logics are written, data is manipulated and all the actions are executed. • Instance Variables - Each object has its unique set of instance variables. 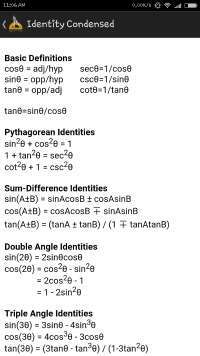 An object's state is created by the values assigned to these instance variables. First	Java	Program:	Let us look at a simple code that would print the words Hello World. • Open notepad and add the code as above. • Save the file as: MyFirstJavaProgram.java. • Open a command prompt window and go o the directory where you saved the class. Assume it's C:\. • Type ' javac MyFirstJavaProgram.java ' and press enter to compile your code. If there are no errors in your code, the command prompt will take you to the next line(Assumption : The path variable is set). • Now, type ' java MyFirstJavaProgram ' to run your program. • You will be able to see ' Hello World ' printed on the window. Basic	Syntax:	About Java programs, it is very important to keep in mind the following points. • Case Sensitivity - Java is case sensitive, which means identifier Hello and hello would have different meaning in Java. • public static void main(String args) - Java program processing starts from the main() method, which is a mandatory part of every Java program. Java	Identifiers:	All Java components require names. 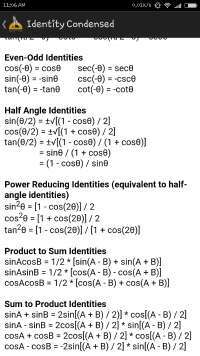 Names used for classes, variables and methods are called identifiers. • All identifiers should begin with a letter (A to Z or a to z), currency character ($) or an underscore (_). • After the first character, identifiers can have any combination of characters. • A keyword cannot be used as an identifier. • Most importantly identifiers are case sensitive. Java	Arrays:	Arrays are objects that store multiple variables of the same type. However, an array itself is an object on the heap. We will look into how to declare, construct and initialize in the upcoming chapters. Java	Enums:	Enums were introduced in java 5.0. Enums restrict a variable to have one of only a few predefined values. The values in this enumerated list are called enums. Java	Keywords:	The following list shows the reserved words in Java. 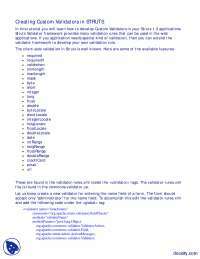 These reserved words may not be used as constant or variable or any other identifier names. Comments	in	Java	Java supports single-line and multi-line comments very similar to c and c++. All characters available inside any comment are ignored by Java compiler. Using	Blank	Lines:	A line containing only whitespace, possibly with a comment, is known as a blank line, and Java totally ignores it. Inheritance:	Java classes can be derived from classes. Basically, if you need to create a new class and here is already a class that has some of the code you require, then it is possible to derive your new class from the already existing code. Interfaces:	In Java language, an interface can be defined as a contract between objects on how to communicate with each other. Interfaces play a vital role when it comes to the concept of inheritance. What	is	Next? 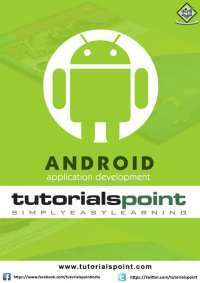 The next section explains about Objects and classes in Java programming. At the end of the session, you will be able to get a clear picture as to what are objects and what are classes in Java. In this chapter, we will look into the concepts Classes and Objects. Objects	in	Java:	Let us now look deep into what are objects. If we consider the real-world we can find many objects around us, Cars, Dogs, Humans, etc. All these objects have a state and behavior. If you compare the software object with a real world object, they have very similar characteristics. Software objects also have a state and behavior. A software object's state is stored in fields and behavior is shown via methods. So in software development, methods operate on the internal state of an object and the object-to-object communication is done via methods.